New Taipei City is combating with cities around the world the most challenging threat of our time -- climate change. Through innovative and state-of-the-art interventions, New Taipei’s Climate Action Plans aim to bring about urban transformations in every aspect of citizens’ life, including greener buildings, smarter transportations, cleaner energy, efficient resources allocation, and a more sustainable life. The remarkable results show that New Taipei is creating a more sustainable and future-forward lifestyle. The Climate is changing and this happens because human activities-the coal or oil burning process have released large amounts of carbon dioxide (CO2) and other greenhouse gases (GHG) into the atmosphere. The gases trap heat within the atmosphere, which can have a range of effects on ecosystems. The world is warming up, resulting in extreme weather conditions: the temperatures continue to rise; typhoons become stronger and more intense; heavy precipitation events is the norm; sea level rise, posing imminent threat to the City’s sea side dwellers along its 120 km coastal line. New Taipei City covers a vast territory, including mountains, hills, plains and basins. When Typhoons strike between July and October, some sensitive lands lead to mudslides and some may flood. Owning to global warming, mosquito season may lengthen. Citizens work outside are exposed to the heat and at the risk of mosquito-borne diseases. 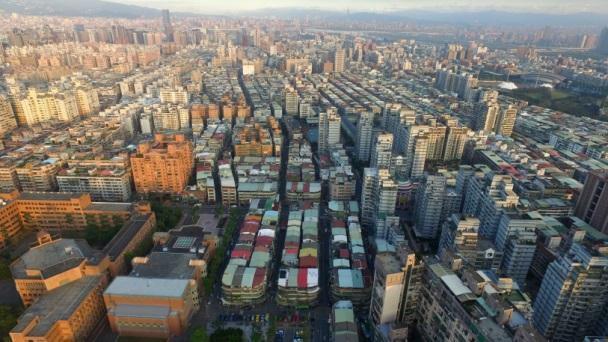 New Taipei City, with 3.9 million residents, is Taiwan’s most populous metropolis. Over 2 million motorcycles are registered in the City. Nearly 3.7 million people live in urban area (2,988 people per square kilometer). The jungle of high-rise buildings leads to severe heat island effect. Overcrowding vehicles and motorcycles result in long and harrowing commute for citizens, traffic congestion on the roads and serious air pollution. We need to change. We the people and the government of New Taipei have stressed on imminent global challenge “Climate Change”, and been on a mission to reduce green gas emission, and to create a sustainable city for all. Measures: Green doctor, constructed wetlands management and education, green roofs, green homes and urban planning and green building label. Results and benefits: 531 communities have being counseled in energy saving, 8 constructed wetlands have been connected, 79 green roofs have been established, 170 hectares unused areas become greener. Results and benefits: the friendly development environment for green transports, 43.8 km of MRT tracks, 390 kilometers of bike lanes, 6,079 carpooling routes, 114 electric cars charging stands and 1340 electric bikes charging stands have been built. Results and benefits: through energy conservation campaigns, a total of 5.17 million kWh of electricity were saved, 6245kWp capacity solar photovoltaic systems were installed, 210 tons per year of methane was recycled, and power generated by incinerator was 200,000,000 kWh. For a total reduction of 25,000 tons CO2e, the city also increased NT$ 265 million in revenue. Measures: Adaptive reuse of old building, second-hand market and exchange platform, household waste reduction and recycling. Measures: Citizen’s Farm, Energy Conservation and Carbon Reduction Label, Reduced Combustion of Ghost Money, Ranking of Neighborhood Environment, Rating and Reform of Low-Carbon Community Label, Energy Conservation of Service Sector. Results and benefits: New Taipei City Government provided about 33,058 m2 of farmland for planting 5,699 kg of organic vegetables, combusted 11,000 tons of ghost money centrally, got 18 energy-conservation labels and 360 neighborhood environmental certified indicators. It is found that the residential and commercial buildings and facilities have the highest share of emission in greenhouse gases. Therefore, City of New Taipei has priority to improve the energy efficiency of buildings and facilities. In the mid-term, we plan to expand the implementation range of green building through alliances and exchanges of community, school, and private enterprise, we also plan to increase installed capacity of renewable energy sources and its generating efficiency. In the long-term, we hope to further change the regional energy structure through the promotion of distributive renewable energy, regional energy and natural resource recycling. New Taipei City has stresses on the importance of raising global competitiveness by working closely on industrial, cultural, tourism, transportation and city developments in order to accommodate the global trend; transforming into an international city.